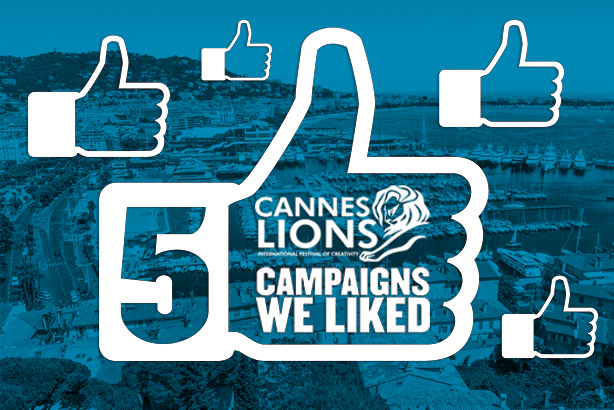 The PRWeek UK team picks out five campaigns that made a splash at Cannes. This double Grand Prix winner used a strong and inventive idea to make a powerful statement about plastic in the ocean. An application was submitted for World Oceans Day to recognise 'Trash Isles' - an area of rubbish in the ocean the size of France - as an official country. Sir David Attenborough, Al Gore and Dame Judi Dench were among the celebrity backers (the latter was named the territory's Queen, an arguably dubious honour). More than 200,000 people signed a petition in favour of its recognition. AMV BBDO has the idea creation credit, and while there was no PR credit, special mention goes to online platform LADbible, which supported the campaign through a consistent stream of supportive articles. LADbible described it as a "light bulb moment" for the PR industry to show the impact of social publishers. Trash Isles won a Grand Prix in both the PR Lions and Design Lions, two further Gold, one Silver and three Bronze Lions. This campaign by FleishmanHillard had to be on our list - it showcases corporate responsibility at its best, and was the sole instance of a campaign led by PR firm winning PR Lions Gold. When Hurricane Harvey hit last year, Anheuser-Busch stopped production of beer to provide drinking water to residents in affected Southern states and Puerto Rico. The company assembled a team to tailor content and media requests around its efforts, maintaining a humble tone that emphasised employees' acts of kindness in a year defined by division. Anheuser-Busch has provided emergency drinking water to crisis-hit areas in the past, but this time the storytelling approach won positive profile for the firm and ensured social media pickup, as well as strengthening employee engagement. In March, male mental health charity CALM placed 84 life-sized sculptures on the top of the ITV Tower in London, symbolising the number of men who take their lives every week in the UK. The charity forged a partnership with ITV's This Morning, who devoted a week of programming to the project and male suicide in general. The campaign achieved huge reach and prompted 220,000 people to sign a Change.org petition to Health Secretary Jeremy Hunt and PM Theresa May, asking for a Government department to be given the specific duty of suicide prevention. In the two weeks following launch, there was a 34 per cent increase in demand for CALM's helpline and webchat support. The creative shop adam&eveDDB was credited for idea creation and W Communications for PR. Project 84 won two Gold Lions, four Silver Lions (two of which were in the PR Lions) and one Bronze Lion. The National Safety Council found an eye-catching way to get the US public to engage with a life-threatening problem that had little public profile. Huge numbers of opioid painkillers are prescribed in the US, and a fifth of Americans admit to giving leftover pills to others. In November, the National Safety Council (NSC) launched the Prescribed to Death Memorial, which includes a wall of 22,000 pills each carved with the image of someone who fatally overdosed in 2015. The monument visited several cities, with visitors given specially designed 'Warn Me' labels to attach to their health insurance cards, designed to prompt a dialogue with prescribers about the risks of taking opioids and whether there are safer, effective alternatives. The campaign, created by Energy BBDO with PR credits for Ketchum, garnered 2.5bn impressions and distributed more than one million Warn Me labels nationwide, potentially prompting life-saving conversations. Prescribed to Death won a total of three Gold, one Silver and two Bronze Lions. Lions jurors were in awe of KFC’s response to the chicken chain’s UK supply problems that forced it to close restaurants earlier this year. 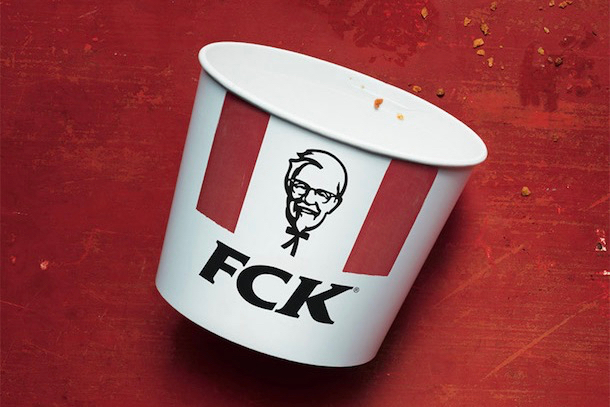 The company struck a self-deprecating note with controlled humour in its initial response, with a tweet telling customers "The Colonel is working on it". What won the award, however, was the Metro ad that featured a near-profane jumbling of its three-letter brand - "FCK" – followed by an explanation of the problems. Bold, daring and effective, the campaign by Mother with PR support by Freuds, was a key part of what has rightly been labelled a PR crisis management masterclass. The campaign won two Gold and one Silver Lion in the PR category, plus a Gold in Print & Publishing. Read next: Which PR firms won the most Lions at Cannes 2018?